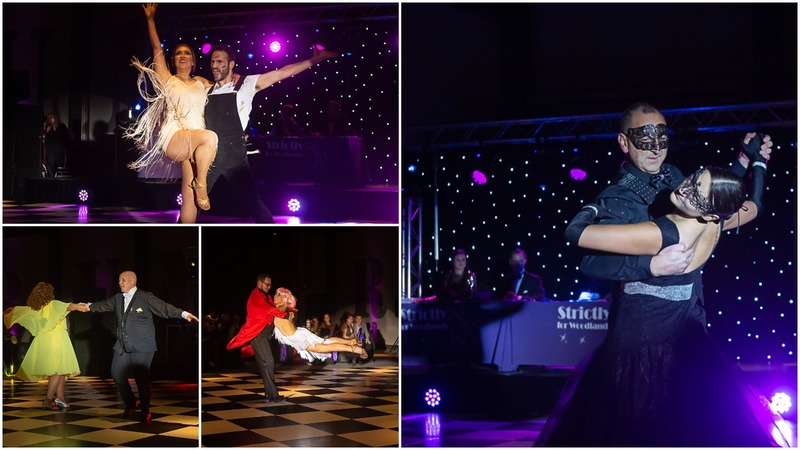 Dance, Sparkle and Fun – a ‘Strictly’ Amazing Evening! Woodlands Hospice held it’s ‘Strictly for Woodlands’ fundraising event for the 5th consecutive year at Liverpool’s Titanic Hotel on Saturday 24th November, all in a bid to raise the vital funds needed to continue providing the quality care and services it provides its patients and their families. 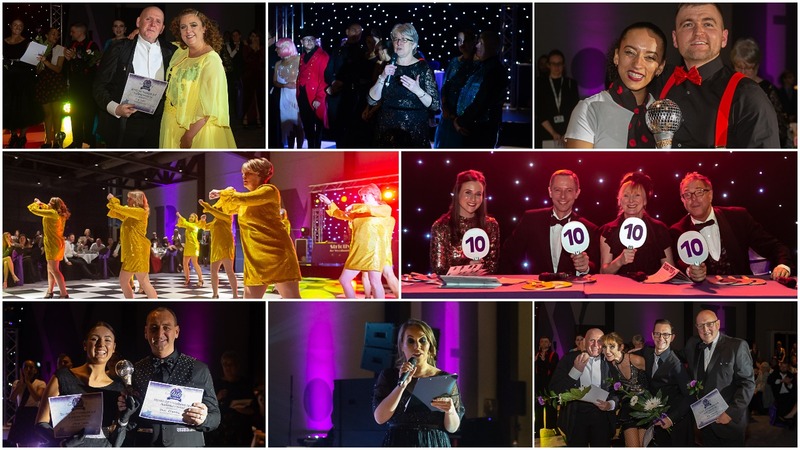 Over 350 guests dressed in their finest attire and joined us to watch 11 brave people take on the challenge of dancing a Latin or Ballroom Dance routine and compete for the coveted Woodlands Glitterball Trophy! Our dancers had just 10 lessons prior to the big event to master their routines and each pledged to raise a minimum sponsorship of £600 for the Hospice. Each dancer also received support from Hazel Langdon at ‘Dance Unlimited’ who paired each dancer up with their own ‘Pro’ dance partner to choreograph and perform their routine and organised spaces for rehearsals in the lead up to the event. The evening was hosted by Presenter, DJ and Writer, Ellie Phillips – daughter of broadcaster, Roger Phillips. Our dancers were also judged by a panel of professional dance judges on the night as well as our audience voting for who they wanted to see crowned as our ‘Strictly for Woodlands’ Audience winner! Before the main event, our guests enjoyed a wonderful 3-course meal and we were delighted to be joined by some of our patients and staff on the evening as special guests of the Hospice. 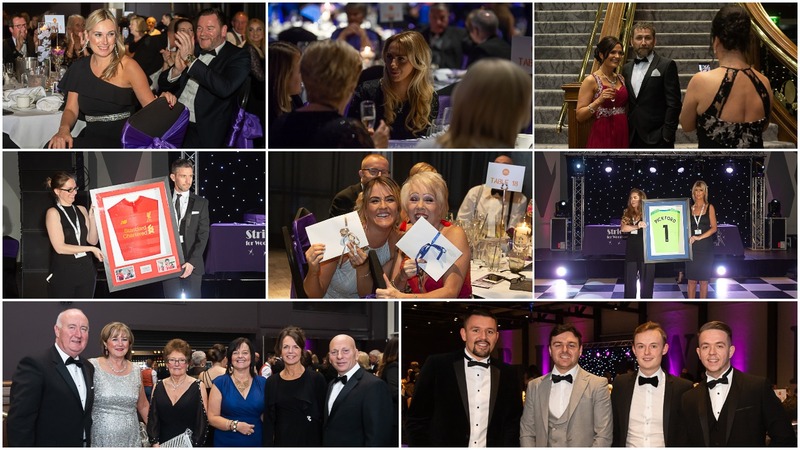 There were also lots of fundraising activities for all of our guests to take part in during the event, including an auction and a raffle with some fantastic prizes. This year, we were also extremely excited to launch our Woodlands ‘Wishing Line’ which allowed guests to pledge donations against various key purchases required by the Hospice, including comfort packs for patients, specialist training for nursing staff and items of medical equipment such as a syringe driver or a pressure relieving mattress. After our contestants had competed and whilst the audience votes were totted up, our guests were treated to a performance from our Group Dancers made up of Woodlands Hospice staff who entertained the crowd with their fabulous 70’s inspired routine! Our Judge’s winners, Mark Farrell and Sophie Penman, received a perfect score of 40 after achieving all 10’s from the Judges for their fun and energetic Rock’n’Roll routine! Mark jumped at the opportunity to take part in ‘Strictly for Woodlands’ in a bid to raise money for the Hospice – and also to improve on his dancing skills! I think it is safe to say that he achieved that goal!! Our Judges runner up, Cara and her partner Ben took part to honour her friend Mark Edwards who sadly passed at the Hospice in 2017 and Cara described as the ‘life and soul of every party’. She was just pipped to the post for top spot after achieving a score of 37 from the Judges for her intense and extremely impressive Tango routine who described it as a ‘neat and strong’ performance. After a very close vote, our Audience Winner was announced as Dave Edwards and his partner Grace Jones with their Viennese Waltz. Dave took part in ‘Strictly for Woodlands’ after feeling inspired by his 10 year old daughter who has competed in Latin and Ballroom competitions around the country. Dave and Grace were delighted to be crowned our audience winners and Dave felt privileged to have raised so much money for the Hospice to help people and their families during what is a difficult time in their lives. Our Audience runner up was announced as Mike Duffy and his partner Nikki Stoddart. This was an emotional moment for Mike who has had an extremely difficult year. Mike’s wife was a patient at Woodlands Hospice before sadly passing away in September 2017. Mike is now a patient himself after being diagnosed with Cancer earlier this year. Mike was determined to take part in ‘Strictly for Woodlands’ and has found that dancing has given him a new focus and helped him to make new friends. Mike was so dedicated to the competition, that despite only being discharged from the hospital at 2am that day, he was still ready to compete and wowed us all with his beautiful foxtrot routine. Our crowd were up on their feet for Mike and there wasn’t a dry eye in the house when he was presented with his award for 2nd place. So far, the event has raised an incredible £33,000 for the Hospice, with sponsorship monies from each dancer still coming in. Woodlands Hospice needs to raise at least £3,500 each and every day to be able to continue providing the care and services we do. We’d like to thank everyone who took part in making this years’ event such a wonderful evening and a massive success for the Hospice. Especially to each and every one of our contestants for their hard work and dedication – you were all amazing!